So, as you know, I’ve been working on figuring out so major problems with my car; between the exhaust and the driveshaft and the gaskets, and just general maintenance altogether, it’s just been one fight after another. Today, I solved one problem, and found a bigger problem. The problem I solved: The annoying rattle behind my dash. The solution: A piece of double foam tape to secure the HVAC pipe to it’s proper location (it was wiggling loose and rattling against the back of the dashboard, so I just taped it there). The problem I found: My passenger side brake caliper is seized up. On the flip side of that is that I no longer think my driveshaft needs to be replaced. 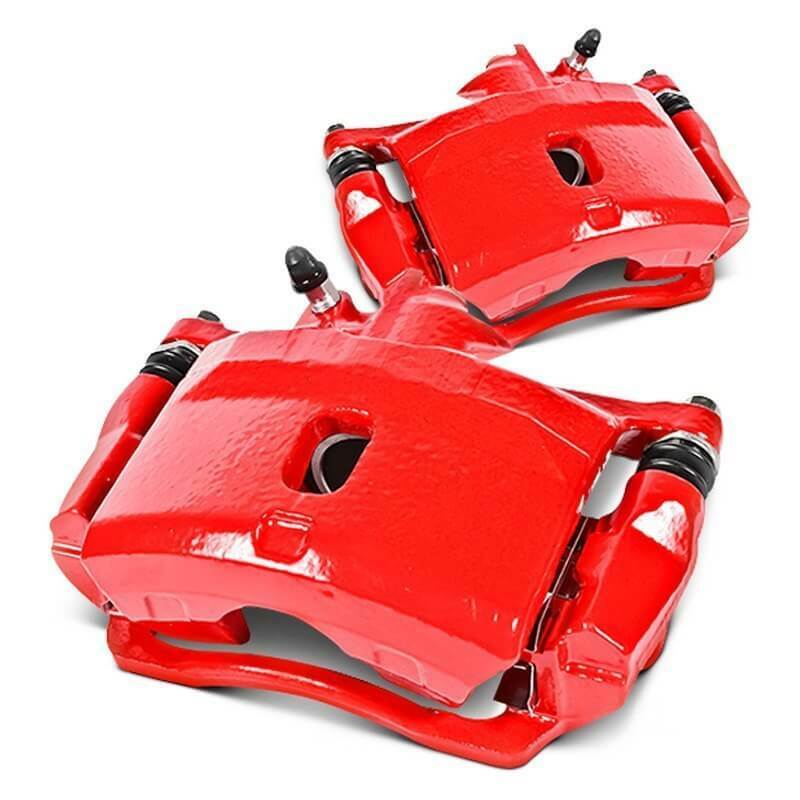 The cyclic wobbling and lurching is caused by the brake system, not by the driveshaft. Small victories. A new driveshaft is $600. Brake calipers are $180 (with a $40 core charge). Brake calipers are easy enough to do (I’ve removed them before, when I was replacing the rotors). Brake bleeding is… Not so much? Dan has experience with it. I will have to ask for help on that. Of the two tasks, I think the brakes is overall easier, but more time consuming (driveshaft is 12 bolts, calipers are 10 lug nuts, 4 slide screws, 4 mounting bolts, plus bleeding afterwards). The brake bleed is the only part I’m concerned about. What I’m more interested in is documenting my troubleshooting thought process, mostly as a sanity check. Yesterday I felt my car struggling (lurching) forward out of a complete stop. It felt like the wheels were binding up (you can kinda see why I thought it was the driveshaft). I also felt some wobble and vibration (again, you can sort of see why I think it was the driveshaft). I’ve also noted that during hard braking my car pulls hard to the driver’s side (left). I found a great video by Eric the Car Guy here. I figured, Saturday and Sunday are going to be nice: let’s get this verified and order parts on pay day. I jack the car up and lock it in place and pull off the wheels. I start on the passenger side and as I’m disassembling it I can already see some problems. LOTS of brake dust. EVERYWHERE. I go to work on the driver’s side. There’s brake dust, just not nearly as much of it. Suspicions starting to be confirmed. I’m nervous because I watched the Eric the Car Guy video and now I’m thinking I have confirmation bias. I inspect the pads. The passenger side pads are more worn and ragged than the driver’s side pads. Each pad is about 2mm thinner than the corresponding driver’s side pad: a sure sign that the passenger’s side is working harder or applying uneven/unexpected pressure. I inspect the rotors. The passenger side rotors are caked in dust. The slots and drilled holes are practically full of dust, both sides. The driver’s side surely has some dust, but it comes off with a finger wipe, the passenger side required a liberal application of brake clean. Dangit. Now for the big test. I hop in the car and press the brake pedal hard four or five times and go inspect the calipers: the driver’s side is fully extended. The passenger side has not moved at all. I compared a pre-press and post-press measurement: yep. No change on the passenger’s side. Damnit. Ok, so I start to button things back up. I compress both cylinders on the calipers and put it all back together. The driver’s side was cake. The passenger’s side was a fight to the death. I press the brake pedal again to get the pads to push against the rotors. The driver’s side cylinder extends and presses up tight. The passenger’s side… does not move at all. F***. It harks back to what Eric the Car Guy said: if you have a vehicle pulling hard to one side when braking then inspect the opposite side caliper. He’s spot on. So, problem confirmed. My passenger caliper has seized and is faulty. My car is not quite in what I call a drive-able state. Just need to get some Dot3 Brake Fluid and a brake bleed kit. I can get those on Monday. It’s time to shower.